by Jamie S. Walters | Business & Investing | This book has not been rated. Big Vision, Small Business is a celebration of and a primer for creating big-vision small businesses that are independently owned and locally accountable. The book speaks directly to those entrepreneurs who desire a positive, non-workaholic lifestyle and want to create a business of integrity, meaning and contribution. 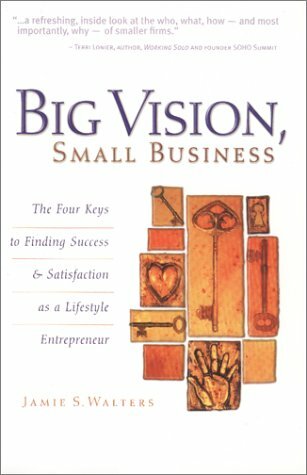 Big Vision, Small Business is based on more than 70 interviews -- and countless informal conversations -- with small-business owners and advocates from throughout the United States, and includes real-people anecdotes and tips for creating a big-vision organization in the real world. Sending off to redhot-brat. Feel free to read it for yourself, sell it or put it in your OBCZ! Wishing you a prosperous and happy bookstore!